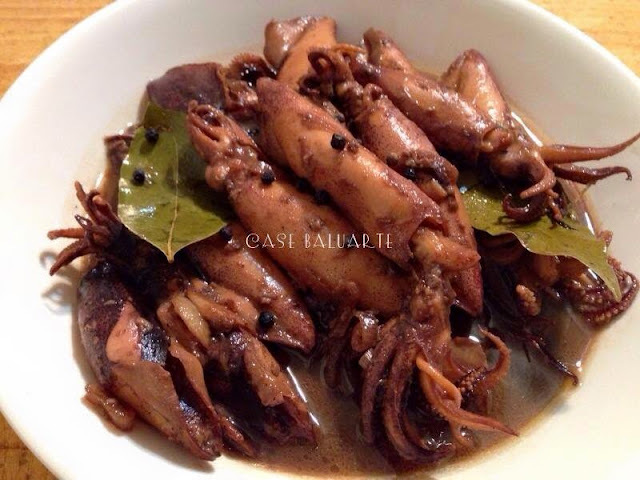 One of my favorite recipe, squid stewed in vinegar and some other common ingredients in a Filipino kitchen. Using a deep pan saute garlic and onion till caramelized in olive oil. 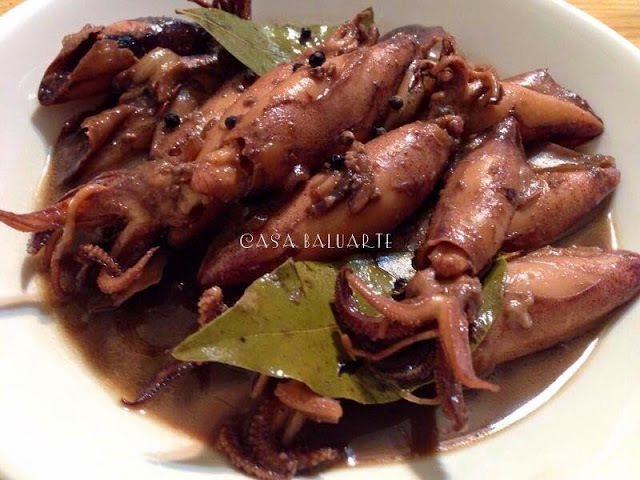 Add the squid and whole peppercorn and stir. Add bay leaves, soy sauce and vinegar. Simmer in medium high heat for few minutes. Season with salt, black pepper and sugar (optional). Simmer in high heat for few more minutes. optional ba yung bay leaves?